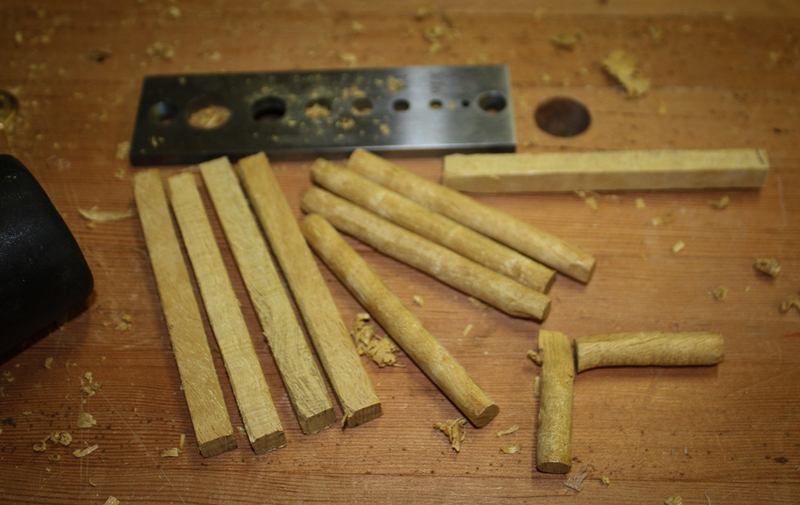 I spent the evening making draw bore pegs. They are the same golden color as the parallel guide. This entry was posted in workbench and tagged drawbore, workbench. Bookmark the permalink.